As NASA marks the 50th anniversary of American human spaceflight, the agency's chief, Charles Bolden, reflected on the significance of astronaut Alan Shepard's historic Freedom 7 mission. 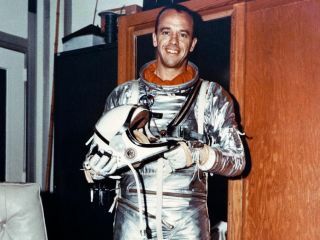 "50 years ago today, Alan Shepard rocketed into space on America's first manned space mission. That flight set our nation on a path of exploration and discovery that continues to this day. "I encourage everyone to not only remember that remarkable achievement, but to be reminded that we are still driven to reach for new heights in human exploration. "At NASA, each first is grown and expanded until we make the next breakthrough. 50 years ago, we sent the first American into space. Today we have a space station flying 250 miles overhead right now on which men and women have lived continuously for more than 10 years. "We are just getting started. Our future, as an agency and as a country, holds many more firsts. We know the next 50 years will be just as exciting as the last – filled with discovery, innovation and inspiration."